After a week off, the Sussex County Council was back in session this morning. The council was given an update on the programs at the UD Carvel Research & Education Center in Georgetown. Director Mark Isaacs talked about the programs that the center does and also updated the council on the outcome of funding provided by the County Government to help defray the cost towards interns. By way of a video, the interns also thanked the council. A public interview was held for Planning & Zoning Commission nominee Bruce Mears. He was approved for the seat by a unanimous vote. Mears will resign his seat on the Board of Adjustment and Board of Adjustment & Building Code Board of Adjustments & Appeals. The next P&Z Commission meeting is February 14. 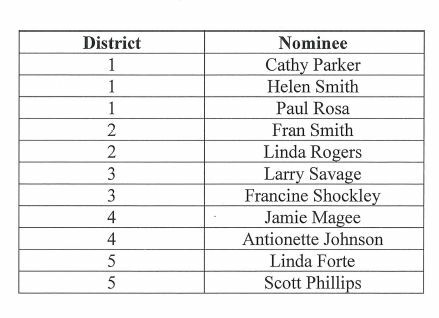 The County Council also approved 9 new and returning members to the 11 member Advisory Committee for the Aging and Adults with Physical Disabilities. A public hearing on the “Lakeside Annexation” was held after being postponed on January 15th. 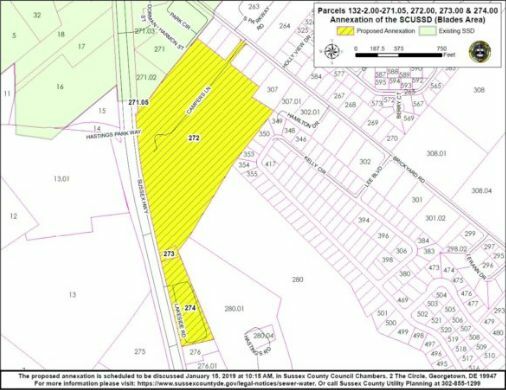 This would extend the boundary of the Sussex county Unified Sanitary Sewer District in the Blades area to include several parcels along Route 13. There was no opposition to the annexation and the council approved the motion by a 5 to 0 vote. County Engineer Hans Medlarz had a large agenda today. The Council approved the reforestation and meadow creation on an open parcel of land that is part of the Landfill #3 buffer site off Dorman Road in the Angola area. They also approved a MOU with the Center for Inland Bays in reference to the Wolfe Neck Spray Irrigation site, which includes a hunting program agreement. An agreement was also approved with Artesian Water for the County to purchase potable water service to supply users in the Ellendale Water District. Ellendale area residents approved the creation of a water district last September after a referendum vote in 2017 failed.